Add a little memorable keepsake to your graduation dress. 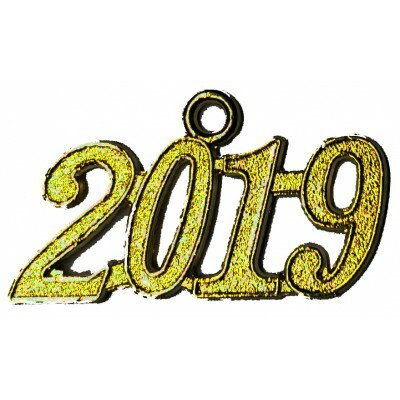 This 2019 tassel charm is finished in gold effect. This goes on the clip on the tassel for the mortarboard and is easily attached or removed. We have a very limited number of tags from previous years available - please call us on 01264 339706 to check availability.